Few businesses or products have seen the kind of relentless support and loyalty that has been shown to upstart Presidential candidate Donald Trump. 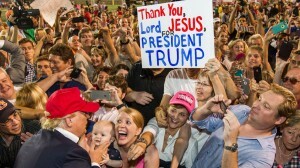 At the time of this writing he is leading all Republicans by a significant amount and the political establishment has been in awe of his ability to remain popular despite a stream of controversial comments that appears never-ending. So what is it that keeps this anti-politician at the top of mind for so many Americans? Even the most experienced political analysts cannot figure it all out but consider these points. Trump’s initial campaign played off many American’s biggest fears. Legitimate or not, his ability to understand what his potential constituents were thinking about cannot be overlooked. Trump had the ability to stay in the news almost daily. His controversial comments were the #1 story on morning news shows and he was in high demand on talk shows. His dominance of the media overshadowed all other candidates. He recognized that many voters were tired of politics as usual and he offered a significantly different alternative approach. Like him or hate him, Trump provided a severe alternative and it is assumed that many voters chose him simply to send a message to established politicians. Make promises now. Worry about delivering later. How many of us have taken a job that was well over our experience level yet we told the interviewer we could get it done. How many businesses have taken on a project they have never done before and worked to get it done. Trump has been doing the same with his “build a wall,” “block Muslims” and “deport Mexicans” statements. Despite dozens of requests for a “how” statement, there was never one given. Trump stood by his actions. Despite widespread criticism from just about everyone else but those who voted for him Trump stood by the many obscure comments he made and very often doubled-down on some of the most politically–incorrect statements that have ever been uttered by any candidate. 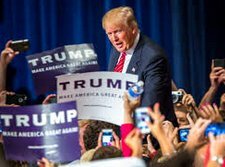 In this early stage of the campaign it is hard to say what the final outcome is going to be for Mr. Trump and his campaign, but there is no denying that his campaign defies many traditional marketing tactics and beliefs. But there is some learning any smart business can derive from what has occurred. 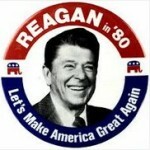 Consider adapting these Trump tactics in your marketing program. Stay in the news as regularly as possible. Each day your business is doing something. Figure out how to develop a news angle on anything you can think of. 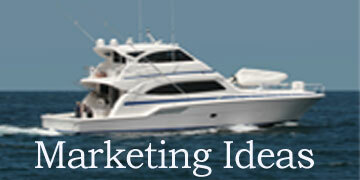 (if you need ideas here contact General Marketing Service). Next develop a media list and email your news as often as possible. If you don’t want to email use social websites and if you don’t use social media then at minimum update your current website regularly. Stay newsworthy! Understand your customer and craft your products, services and messages for what they want, not what you can do. Consider that just as we have seen the political climate change over four years, the business climate changes as well. How regularly have you adjusted your company message to react to your changing customer base? Develop company messaging that you emphasize in all in every communication from your company, including websites, social, email, advertising, marketing, trade shows and anything else that goes out the door: The shorter and more memorable the better. Cultivate loyal and passionate customers who will recommend you regardless of who else is available to do the job. This requires acknowledging good customers and asking for their support the same way a politician asks for a vote. You might not be comfortable with this but many companies offer a referral discount program so this is a proven way to begin recognizing customers that like your business and want others to know. Yes politics and business are different in so many ways, but any smart business person looks for lessons in anyplace they can find them. The Trump phenomenon is a marketing story that can’t be ignored, and rather than write this off as an oddity or anomaly a smart business-person would do well to learn what they can from the event, regardless of your voting propensity.